Welcome to Tamris Farm Nubians. We are a small Nubian Farm located in Northern California nestled in a small community of Fieldbrook. Our herd participates in DHIR, LA, and attends a few shows throughout the year. Beyond thrilled to share our herd achievements this year in the milk room, linear appraisal, and show ring! SG Tamris Farm TR Crescent Moon, SG Tamris Farm TR Sangris, and SG Tamris Farm CK Adi Gallia. 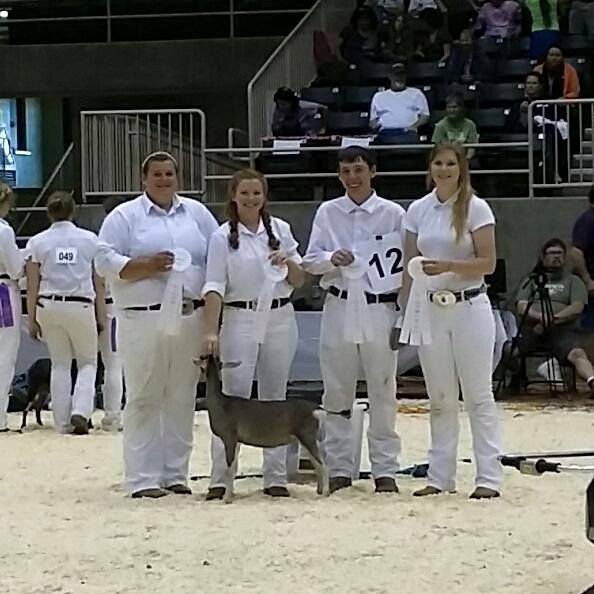 In the show ring, Dry legs were earned by Tamris Farm WC Lady Ambria and Tamris Farm DT Queen Kamino. Lovely SGCH Tamris Farm Queen Mara Jade earned BEST OF BREED while her daughter, Tamris Farm LT Duchess Corelia earned 1 Grand Champion and 2 Reserve Championships. Our Excellent Appraising doe this year was SGCH Tamris Farm Sap's Red Ruby EX 91 VEEE as a 6 year old. ​SGCH TAMRIS FARM SAPPHIRE 10*M , LA 2015 EX 91EEEE has retired from the show ring but proves herself in milking and has earned ELITE DOE status again in August, 2016 in the 99%! Sapphire has also made the Top Ten 2014 and 2015 Production List in all three categories of production, butterfat, and protein. In August of 2017, four does earned ELITE STATUS: SGCH Tamris Farm Sapphire, Tamris Farm Tup's Tatoonie, SG Tamris Farm CK Aurra and SG Tamris Farm Black Diamond. In addition, an Eclipse son is also ELITE , +*B SG Tamris Farm E's Rebel Force. 2017 Show celebrations include finishing SGCH Tamris Farm Tup's Queen Naboo -- 2 milking legs this year, earning one milking leg with SG Tamris Farm Tup's Tatoonie , earning Restricted legs on Tamris Farm CK Kimberlite (also BJDIS) and Tamris Farm WC Chaintre as well as Reserved Championships for Tamris Farm TR Silver Lace and Tamris Farm Leilani Rae. Linear Appraisal 2017 featured four does appraising Excellent -- SGCH Tamris Farm Tup's Queen Naboo EX 91, GCH Tamris Farm Queen Mara Jade EX 91, GCH Tamris Farm Z's Chardonnay EX 90, and Tamris Farm Sap's Red Ruby EX 90 in addition to our buck, CH Sweet-Spring Calvin Klein EX 91. We attended the National Show in Redmond , Oregon in 2015 -- our does did amazingly well with many placing in the top 10 in their classes and as well in group classes. 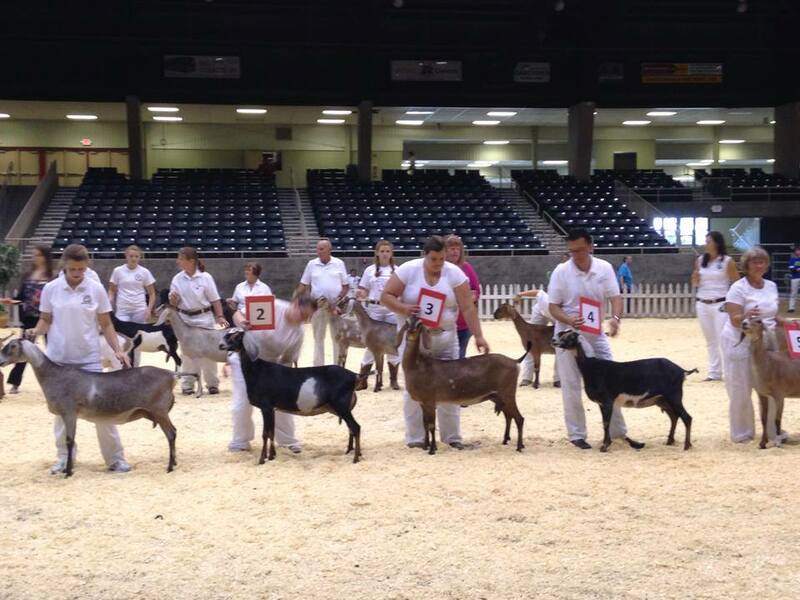 Tammy was the 2015 ADGA National Show Youth Premier Nubian Breeder. Herd health is a priority, therefore, does and bucks are annually tested for CAE. Our herd continues to be negative in status for CAE/CL/Johne's as of June 30, 2017. We have just finished G6S testing and all are normal tested or via parentage. Kids are bottled raised on pasteurized milk. Stock is feed alfalfa, grass hay, kelp, free choice minerals, baking soda, and copper bolused twice yearly. This venture began as Tammy's 4-H project and continues on. Our genetics include Wingwood Farm, Kastdemur's Dairy Goats and SAADA LLC. ​Thank you for viewing our site. ​Below is a slideshow over the years!